Gill Bratcher is a Legal Assistant specialising in all aspects of residential property law. Gill Bratcher has been with the firm since 1999. 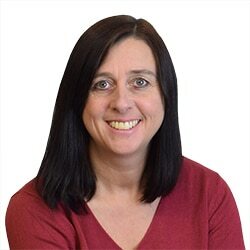 During her time at WBW Solicitors Gill Bratcher has particularly specialised in residential Conveyancing and buying and selling shared ownership properties. Gill Bratcher was born in 1969 and lives in Torquay. She is married with two children. Gill’s particular interests are her family, reading and travel.